Order From Chaos: Reuters just got $10 billion to build a sustainable news business. How should it spend it? It's the biggest assignment in journalism: Take a set-in-its-ways 167-year-old news organization and reconfigure it radically so that it can compete on the global stage against countless young digital upstarts. If it's done right, billions of people could end up with trusted, independent, impartial news they would never otherwise have had access to. On the other hand, if it's done wrong — or if it's not assigned at all — then one of the world's most storied newswires might be entering its final years. Welcome to Reuters, the news agency which faces, today, the most epochal decision in its history. If it doesn't scale back, radically and quickly, its core financial-news offering, then in 30 years' time it will be on life support. If it does make the change, however, then it can not only save itself; it might even be able to help transform billions of people's access to trusted news. Opportunities like this don't come along very often — indeed, to a first approximation, they never come along. But now, thanks to a $17 billion M&A deal in which private equity giant Blackstone is taking over the Thomson Reuters financial-terminal business, Reuters News (which is not part of the deal) has found itself in possession of an astonishing $10 billion lottery ticket. The catch: This lottery ticket is timed to self-destruct. Reuters, from itsvery beginning in 1851, made its name by delivering fast and accurate information to both newspapers and the financial markets. Over the years, the financial data part of the business grew to dwarf the news business, and the billions of dollars in revenue thrown off by financial terminals have helped to pay for a global news operation that now employs more than 3,000 journalists in some 200 locations around the world. But once the terminal business becomes controlled by Blackstone, led by Stephen Schwarzman rather than by Thomson Reuters, that business has much less incentive to pay Reuters hundreds of millions of dollars a year for its news. After all, Thomson Reuters had significant control over what Reuters covered. By contrast, Reuters will and must have complete editorial independence from Blackstone. 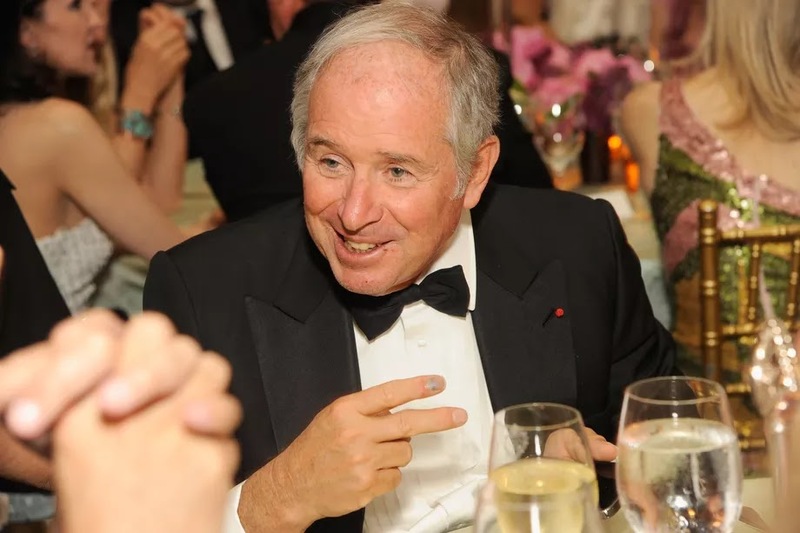 The result is that if Schwarzman wants to rely on a news operation, he's either going to build one of his own, like his fellow billionaire Mike Bloomberg did, or else he's going to contract with a news provider who will let him specify exactly what he wants to pay for. The days when Reuters could rely on financial data terminals to pay for its global newsgathering are now numbered. It's going to be very, very tempting for Reuters to treat this as a no-big-deal change. It received about $325 million from the terminal business in 2017; it will do so again in 2018, and the year after that, and the year after that. Nothing's broken, so why bother fixing anything? A ship the size of Reuters has a very strong tendency to just keep on steaming ahead in the same way it's always done, and that has to be the expectation inside and outside the newsroom today. But that would be a fatal mistake. Thomson Reuters won't share with me the contractual details of the agreement it made with Blackstone, nor will they tell me what if anything Reuters News is obliged to provide in return for the $9.75 billion. But it's entirely possible that those obligations are entirely nominal. Blackstone would agree to pay $325 million a year for Reuters News even if it valued that news at zero. After all, if Blackstone didn't agree to the payment, there's no way the Thomson Reuters board of directors would ever have agreed to give up control of the terminal business. The board is already deeply split, with the board chairman, David Thomson, opposed to the deal. If the very existence of Reuters News was put into jeopardy by the sale, the deal could simply never be done. Instead, Thomson Reuters's board has managed to grant Reuters News a true runway to long-term sustainability. Reuters, newly armed with its amazing guaranteed income stream, must embark on a reinvention which will allow it to maintain its size and scope when the money runs out in 2048. With the news agency and other media products only producing revenues of around $300 million, the hundreds of millions of dollars coming in from the terminal have always been crucial — and up until now, the terminal business has always, in one way or another, paid that shortfall. Going forward, it won't. There's only one option, then, for the Reuters leadership: To declare that "no effort shall be spared to expand, develop and adapt the news and other services and products of Thomson Reuters so as to maintain its leading position in the international news and information business." That shouldn't be too hard, since it's right there in the organization's foundational Trust Principles. What would such an expansion, development and adaptation look like? A lot of people will have ideas on that front, but one long-term trend is undeniable: The world's middle-class news consumers are no longer going to be based mainly in Europe and North America. Blackstone's billions should be able to give Reuters the ability to reach billions of emerging news consumers directly, and to be able to compete with broadcasters (CNN, BBC, Al Jazeera, Star) that are hobbled by astronomical per-story costs. Spend some of that $325 million each year on tactical acquisitions and a bunch more on aggressive international expansion; pretty soon Reuters can become the first best source of news for a planet that is just now emerging into broad literacy. At the same time, move out of all those expensive offices in global financial centers around the world, wired to provide up-to-the-second information on market prices, and stop hiring journalists based on their ability to understand yield curves and central bankers. Instead, tell the stories that domestic news consumers demand, delivered directly to their phones in a manner they can come to rely upon. That's a significant change in skillset, which will probably require Reuters buying digital-native news organizations in most of the countries it's operating in. Wonderfully, it now has the wherewithal to do so. And it's much better to spend that money on preparing for the future than it is to squander it providing financial news for the benefit of an ungrateful Stephen Schwarzman.